KPMG International is a global network of professional firms providing Audit, Tax and Advisory services. KPMG has more than 174,000 outstanding professionals working together to deliver value in 155 countries worldwide. KPMG professionals understand what clients need to navigate through today’s business, regulatory, social and economic complexity. That is because – every day – people from KPMG focus on the needs of member firm clients. KPMG carefully assesses exactly what clients require to achieve their objectives and then work across the globe to deploy the right skills and the right experience to help meet their unique requirements. KPMG R.G. Manabat & Co. (KPMG RGM&Co.) 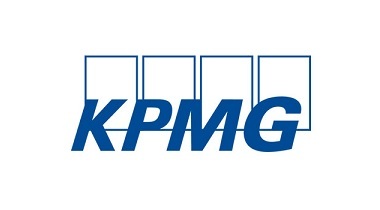 is the Philippine member firm of KPMG International. 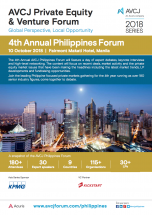 It is one of the fastest-growing practices in the Philippines and among the KPMG practices in the Asia Pacific region. It has significantly increased its market share in auditing the top 1,000 corporations according to Business World*. It has been recognized as a Tier 1 tax practice**, Tier 1 transfer pricing practice***, and Tier 1 leading tax transactional firm**** and National Transfer Pricing Firm of the Year in the Philippines by the International Tax Review. It was also recognized as the Best Consultancy and Advisory Firm in the Philippines by the International Alternative Investment Review in 2012. KPMG RGM&Co. adopts a global approach spanning professional disciplines, industry sectors and national borders. It takes pride in imparting knowledge that adds value to its clients’ businesses. The diverse public and private sector backgrounds of the partners and principals, coupled with their extensive training, and backed up by the wide knowledge resources and network of KPMG professionals, allow the firm to give real-world solutions to its clients’ increasingly complex business and regulatory issues. BPI Capital Corporation is a wholly-owned subsidiary of the Bank of the Philippine Islands (BPI), the oldest bank in the Philippines and in Southeast Asia and currently one of the largest, best capitalized universal banks with a complete set of financial products in the country. As the leading transaction advisor, credit sponsor, and financing originator, BPI Capital is the trusted financial partner to the most respected names with their most important financial transactions in the Philippines. Committed to continuously innovate and meet the current demands of the changing market, BPI Capital has evolved into a multifaceted investment banking firm that provides full-service corporate finance, capital market advisory, and execution services. Our client-focused solutions include financial advisory, mergers and acquisitions, asset financing, private equity and venture capital deals, equity and debt underwriting, loan syndication, project finance, merchant banking, securities trading and distribution, strategic advisory, and brokerage. We are made up of a strong team of experts and professionals with significant local and international experience. We bring a wealth of knowledge, extensive corporate finance experience, and sharp understanding of the markets allowing us to undertake the most meticulous and complex underwriting requirements. Co-founded by Erman Akinci and Juhn Teo, Common Ground is Malaysia’s largest leading coworking space that prides itself on not just being a communal workspace but building a sustainable and integrated coworking community. Common Ground is redefining workspaces by creating a lifestyle that resonates with today’s workforce and creating a vibrant ecosystem of like-minded people. With the tagline “Ambition Lives Here”, Common Ground attracts today’s go-getters. The coworking space connects the community through a members’ portal and app called the Ambition Engine, which allows members to keep up to date on what's happening within the community across all the venues. Aside from weekly social events, the members benefit from services provided by Common Ground’s lifestyle partners, such as memberships at Anytime Fitness and Air Asia. Since launching in March 2017, the game-changing business has since acquired over 2,000 members across seven venues in Kuala Lumpur. It plans to open 12 venues by the end of 2018 across Malaysia, as well as regionally in the Philippines and Thailand. Each Common Ground venue houses a café, event space, board room, several smaller meeting rooms, quiet lounges, and three formats of workspace — hot desking, fixed desking and private offices for two or more people. They also cater to larger clients with their Enterprise Solutions. Kickstart Ventures is the Philippines' most active Corporate VC fund for Seed to Series D digital startups. A wholly-owned Globe Telecom subsidiary, Kickstart puts company resources - capital, market access & expertise - behind startups so they achieve scale and profitability sooner.